Jubiläumsausgabe: »Kommunismus« ist für alle da. Für Einsteigerinnen und solche, die schon immer an diesem verflixten Fetischkapitel verzweifelt sind. In ihrem Nachwort skizziert die Autorin die historischen und theoretischen Koordinaten der Konstruktion eines kommunistischen Begehrens. The thought is captivating through its simplicity. To attempt to think about communism more than a decade after the “end of history” makes completely new ways of expression necessary. Far from the pathos of red flags or barricades, far from the pompousness of socialist parties and far from Marx exegesis. 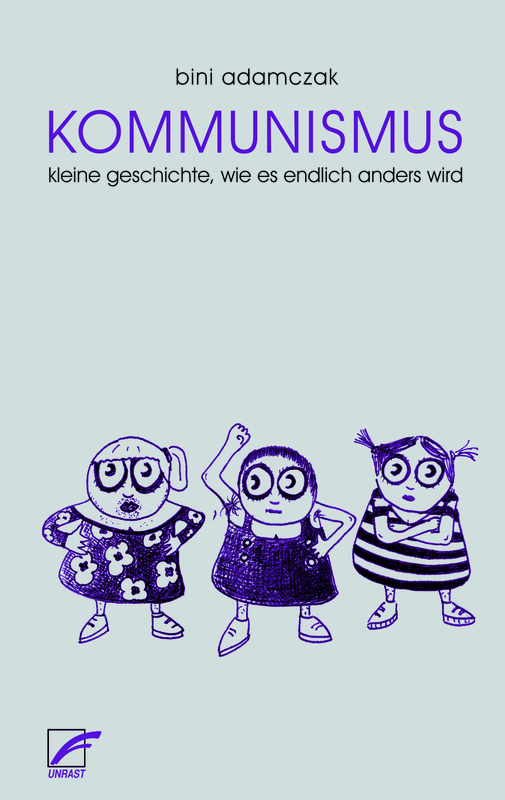 According to Bini Adamczak nowadays only a children’s language allows a free association of individuals to be thinkable and desirable again. “The Little Story, How Everything Will Finally Change” is a theoretical story told in the language of a children’s book. With this it falls through every grid, not being really a children's book, or a theoretical essay, nor a literary tale or a historical abstract. In contempt of current genres Adamczak presents the many traps in which a communist critique may get caught in – with entertainment factor. From feudalism until today: Adamczak writes about jealous princesses, chandlers, glass pearls that are exchanged for gold, displaced farmers, who have to sell their (wo)manpower in the town, about flat-iron-factories and “the big saucepan”, the state, into which all throw their money in the hope that it will be distributed justly. The competition of the factories leads to a general crisis and this becomes the centre of the story. “And that's how it’s done”: in six attempts the men and women in the flat-iron-factories try out the historic models of socialist/communist change, but have to realize quickly that they are still unhappy. Whether it is the regulation of the market or complete socialization, the self organization of labour or its abolishment in the eyes of the humans something essential always remains unconsidered: stupid work, competition, beauraucracy, reification or the backslide behind already reached standards of life. “Attempt number 6”, the conscious decision to take everything into their own hands finally leads to a radical turn: “We will decide for ourselves, how it will continue." Bini Adamczak, 1979, arbeitet als freie (lies: prekäre) Autorin und Künstlerin in Berlin. 2004 erschien Kommunismus. Kleine Geschichte, wie endlich alles anders wird, dessen englische Übersetzung 2017 einen antikommunistischen Shitstorm in der US-Rechten auslöste. 2007 veröffentlichte sie Gestern Morgen. 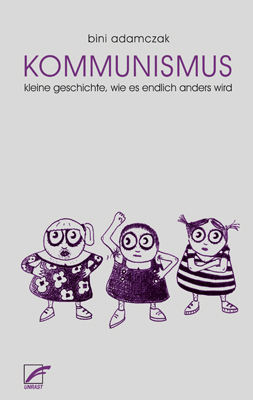 Über die Einsamkeit kommunistische Gespenster und die Rekonstruktion der Zukunft. 2017 folgten Der schönste Tag im Leben des Alexander Berkman. Vom möglichen Gelingen der Russischen Revolution sowie Beziehungsweise Revolution, 1917, 1968 und kommende. Bini Adamczak ist Mitglied der ›jour fixe initiative berlin‹.